WINDSOR – Brian Masse M.P. 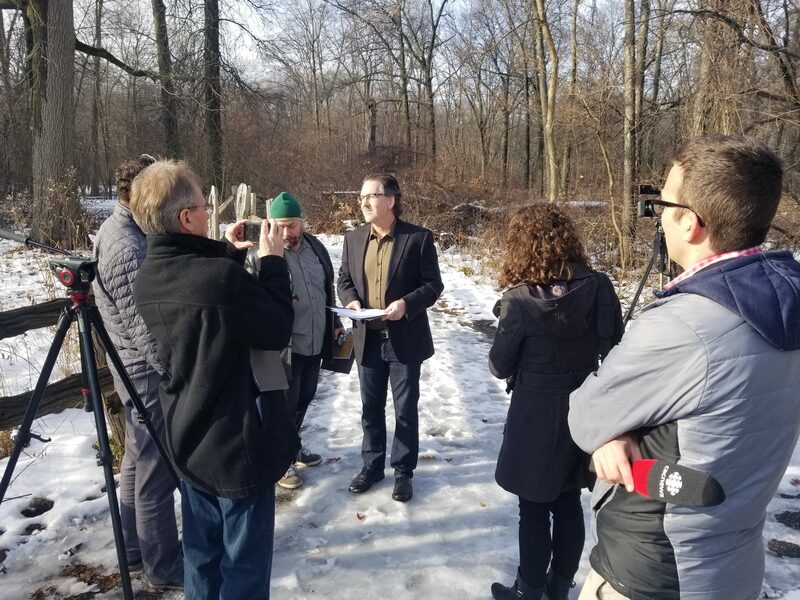 (Windsor West) continues to work to protect and preserve Ojibway Shores, one of the most ecologically significant parcels of land in the region. The property is currently under the stewardship of the Windsor Port Authority (WPA) which lists this critical environmental parcel of land as available for commercial development despite its well documented ecological significance. Masse has proposed that stewardship of Ojibway Shores be transferred from the WPA to Environment Canada. The Minister of Transport has confirmed the WPA Board of Directors has the independent authority to execute this transaction, alternatively the WPA could do the same with the City of Windsor. The WPA has disclosed that currently the annual cost of maintaining Ojibway Shores is $70,000. Additionally the WPA indicated that it generates no revenue from this property. The property therefore is a pure liability to the WPA whose costs will only increase due to inflationary pressures moving forward. Recently, the WPA proposed to lease the property to the community for 30 years at a cost of $10-12 Million. The WPA expected to be remunerated through the WDBA Community Benefit Framework. Transferring Ojibway Shores will save the WPA at least $2.1 M over the next 30 years. The WPA is clearly not the proper federal entity to be tasked with the protection and preservation of Ojibway Shores. Executing its transfer from the Port to Environment Canada or another more suitably tasked body would relieve the Port of a significant annual obligation freeing up capital and resources to be re-invested in community initiatives more in-line with its mandate.” Masse added.